Papa Roach return with anthemic brand new track Warriors, the first teaser track to be made available from their brand new album ‘F.E.A.R.’ (Face Everything And Rise), due early next year. ‘F.E.A.R.’ will be unleashed on 26th January 2015, via Eleven Seven Music, and was produced by the JUNO Award winning Kevin Churko (Ozzy Osbourne, Slash, Five Finger Death Punch). Warriors will be digitally released via iTunes on 21/10/14. Since their debut 3+ million selling album Infest, the quartet have gone on to sell over 20 million albums worldwide, picked up multiple MTV EMA and Grammy Award nominations and have garnered 7 million fans across social networks. 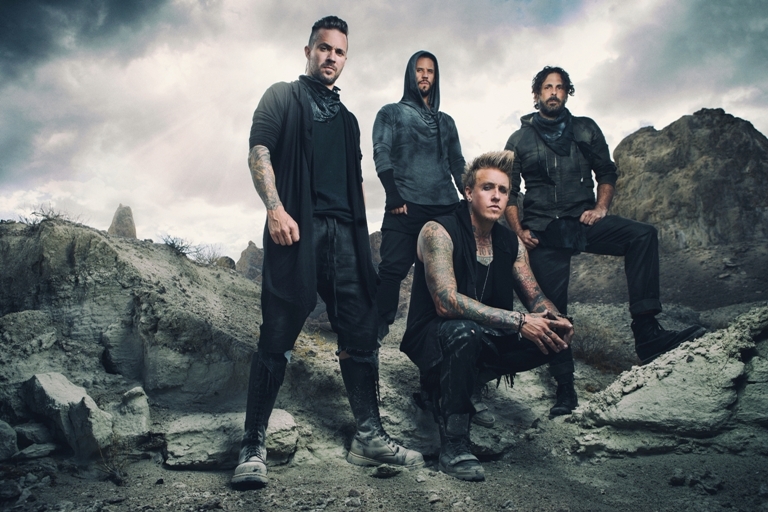 Papa Roach begin the touring cycle for F.E.A.R. in America this October, before travelling through Europe with In Flames, a brief stop in Japan with Slipknot for KNOTFEST, before heading to Australia for Soundwave in February 2015. Expect further exciting announcements and more new music from Papa Roach in the very near future. They originally were going to release FEAR the first single…what happened to that?